Depending on who you ask, Ire was either the album that solidified Parkway Drive as greats in metal as a whole for the foreseeable future, or a clumsy misstep that saw them throw out everything they did well for a sound that was oversimplified and ineffective. The fact that both attitudes have continued to prevail shows just how polarising the Aussies’ 2015 release was, but what can’t be denied is the impact it had overall. Parkway Drive are arguably bigger and more wide-reaching than they’ve ever been, and a lot of that can be credited to the shift in direction that took place on Ire. Even if it that album did have its fair share of detractors, it laid out every opportunity for Parkway Drive to move forward however they wanted, and credit is due for taking the plunge and forging their own path. And yet with Reverence, there’s a good chance that even those who got behind Ire might find themselves rankling here. Not only is this worlds away from albums like Horizons and Deep Blue that many consider to be among Parkway Drive’s best, but it continues even further down the path that Ire laid out, to the point where this feels like a very different band with very different goals. And though Parkway Drive have more than likely walked into this one splitting countless more opinions as they go, it’s something of a natural progression that going this far out into uncharted waters would result in, and there’s ample material to praise in that. In other words, Reverence mightn’t be Parkway Drive’s best album, but it could be their bravest, and for a band six albums in, that’s no small feat. 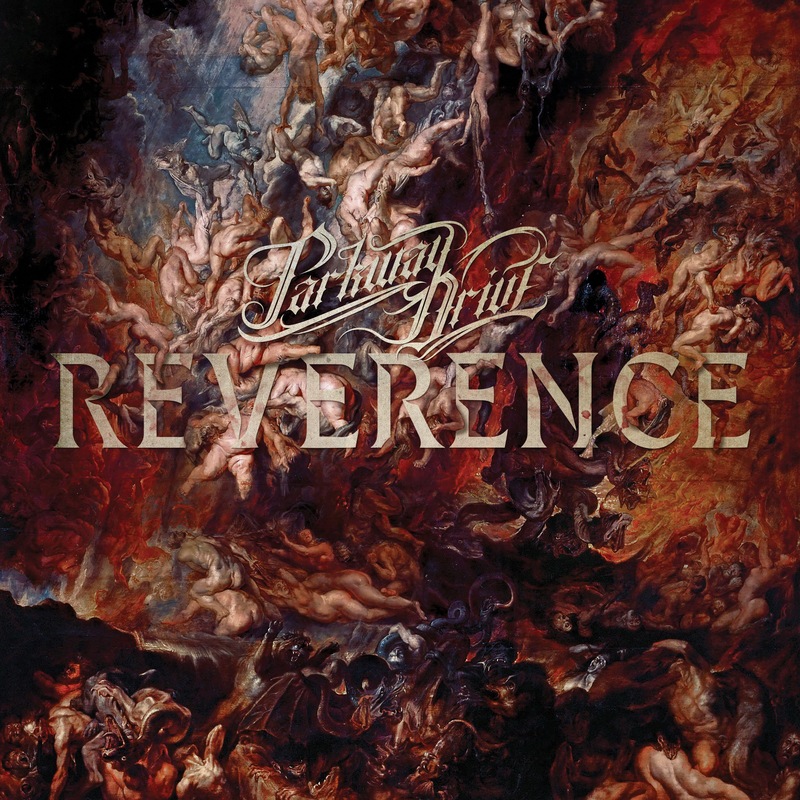 It’s also worth noting that what’s likely to Reverence’s most divisive feature is the most noticeable, and that’s where Parkway Drive have taken their sound this time. If there’s bound to be one particular complaint here, it’s likely to be the lack of “traditional” heaviness, leaning even further on their affinity for wailing classic metal, and this time coupling it with added atmosphere from pianos, strings and some portentous cleans from Winston McCall. If that all sounds a bit much, it’s because it can be at times, and it makes Reverence feel more like a collection of experiments than a full-fledged album. That’s not to knock on the individual quality of these songs – Shadow Boxing is probably the most unconventional track here with its mournful slow burn into the return of McCall’s rap-influenced buildups, but it’s also one of the best – but beyond the base elements, there’s not much cohesion here. It comes with a sense of grandeur that doesn’t feel particularly consistent, in tracks like Cemetery Bloom or The Colour Of Leaving with their low, ominous instrumentals acting as breaks that, in an album as relatively slight as this, don’t need to be here. That’s not to mention the galloping, broadsword-swinging battle metal that forms the basis of Prey and The Void that comes dangerously close to out-and-out cheese. But again, in a vacuum, Reverence still has its fair share of great tracks that show just how well Parkway Drive have learned to adapt and ultimately thrive. The muscular thrum of Wishing Wells and I Hope You Rot galvanise the oft-stale trad-metal formula for something bracing and contemporary, and the winding Chronos condenses each element of their current sound into just six-and-a-half minutes in which not a moment is spared. It also highlights just how much of an instrumental powerhouse this band is, capturing the windswept scale of the guitars and strings, and still keeping some formidable crunch to tie it all down. Even if it is a bit more simplistic and mid-paced, there’s enough stomp and rippling gusto in these tracks to keep them ploughing ahead regardless. And when taking into account the content here, it makes all the more sense for Reverence to favour this bigger, more immediately imposing sound. This is an album built on huge foundations of searing catharsis, spanning feelings of entrapment, either from oneself (The Void) or others around them (Shadow Boxing), all the way to devastating manipulations of power hierarchies on Absolute Power and even the abuse and molestation of children by the church on I Hope You Rot, all delivered with emotional steadfastness and power that’s resolute but also natural. These topics feel like they need to be delivered in this way, and thus Reverence thrusts that to the front with its dramatic instrumental canvas to follow suit. All this might sound a bit slipshod as far as construction is concerned, but it works, and there’s a lot to appreciate about Parkway Drive leading on a foot like this and succeeding in doing so. And even if Reverence could’ve used a couple more drafts to really tighten itself up to the standard Parkway Drive are expected to deliver, this comes as an interesting approach that offers more than it would initially seem. It’s definitely transitional and looking to explore as much as it can before the band hit that defined spot they can call theirs, but there are ideas that have been picked up here that really indicate something truly excellent could be on the horizon. For now though, it might be one of their weaker albums, but it’s a testament to how great a band Parkway Drive are that this is still pretty damn good all the same. ‘Reverence’ by Parkway Drive is out now on Epitaph Records.